This was a very generous and unexpected gift from Boyfriend's parents at Christmas - although he picked out. I had very politely asked for the Naked Basics palette but wasn't expecting the pencils as well! Go him, extra brownie points. As a former Avril Lavigne fanatic, a good eyeliner will always be close to my hear and I can't fault these pencils. They do everything they claim to do and more. Intense colour, soft texture that really does glide on and incredible staying power. Smog (rusty copper), Demolition (deep dirty brown) and Zero (blackest black) are my go-to favourites. I don't even consider any other pencils. I also have only had to start thinking about pearing them now. One sweep and it's all the colour you need - I'm mighty impressed. I'm working up the courage to try the gorgeous jewel tones of Empire and Mainline. I've dipped into Uzi (dark shimmery chrome) a few times for a night out. I'm actually having a bit of an Urban Decay day today! Suspect and Busted from the Naked 2 palette are my eyeshadows of choice for this fine Tuesday. Any more UD fans out there? 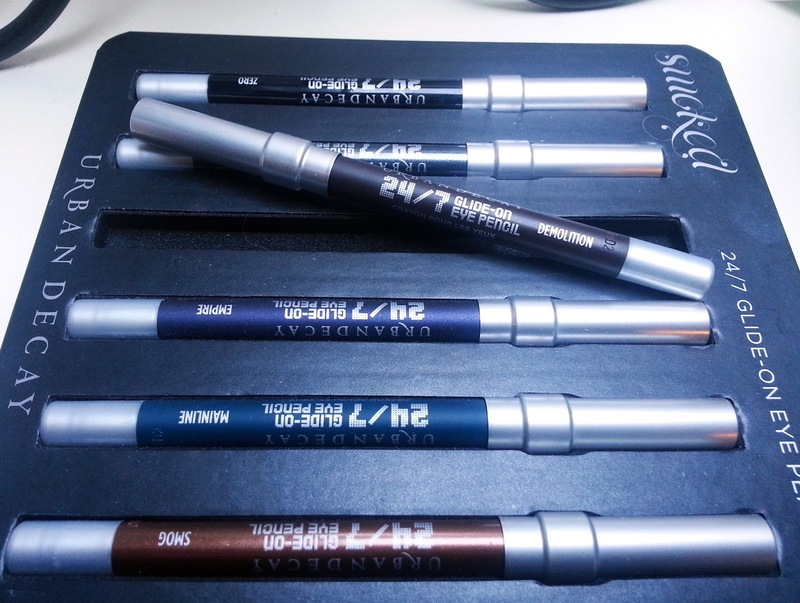 Are you an eyeliner fiend like I am?